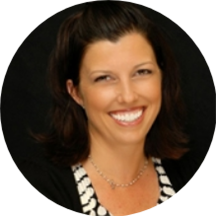 Dr. Julianne graduated from the University of the Pacific School of Dentistry in 2004 with nine awards of distinction for excellence in clinical dentistry, crown and bridge, dentures, future educator and public health. Prior to receiving her degree in dentistry she worked as a Registered Dietitian for hospitals in Reno, Nevada and for the Sacramento County WIC Program. She has followed in her father’s footsteps in continuing her studies in orthodontics and has a special interest in cosmetic, implant dentistry and treating children. She served as the President of her dental schools outreach program providing care for the underprivileged in the Bay area. Since graduating from dental school she has continued providing services to those in need by participating in the “Smiles for Kids” program and “Adopt a Kid” program. Her passion for dentistry, educating and wanting to give back to the dental community lead her to become an instructor at the University of the Pacific School of Dentistry from 2004-2006. She is currently a member of the American Dental Association, California Dental Association, Sacramento District Dental Society, Academy of General Dentistry, International Association for Orthodontists, American Academy of Craniofacial Pain, American Academy of Dental Sleep Medicine, American Academy of Cosmetic Dentistry and CCADS (California Center for advanced Dental Studies) trained. She is married to a civil engineer and has a ten year old daughter and eight year old son. In her free time, Dr. Digiorno enjoys spending time with her children, Isabella and Isaac, and husband Paul. She is very health and exercise conscious and enjoys spending time at the gym, training for triathlons and endurance cycling. Dr. Julie is awesome, have been going to Digiorno Dental for almost 30 years. Highly recommend! I love Dr. Julie and her whole staff. Great visit as always. Dr. Julianne Digiorno, DDS has no appointments on Zocdoc right now.